There are four developed campgrounds with a total of 147 individual campsites and two group camps -- each with fire ring, table, cupboard and nearby restroom with shower and laundry tubs. 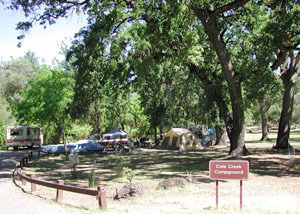 Two sites in Cole Creek Campground are set aside for campers who arrive on foot or bicycle. A trailer and RV sanitation station is available near the Visitor Center, but none of the campsites have RV hookups. Wood is available at the Park entrance and at campground hosts. ADA Sites are wheelchair accessible, with the picnic table designed for wheelchair height. 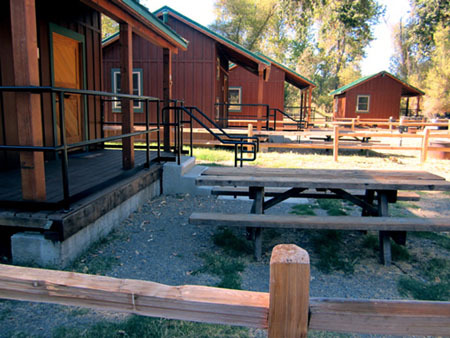 They are in campgrounds with wheelchair-accessible bathrooms and showers. 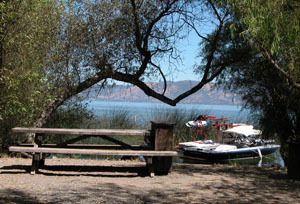 Camping is available year-round, but some campgrounds are subject to seasonal closure. 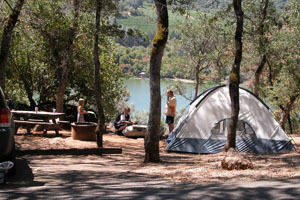 please go to the California State Parks Online Tent and RV Reservations page. 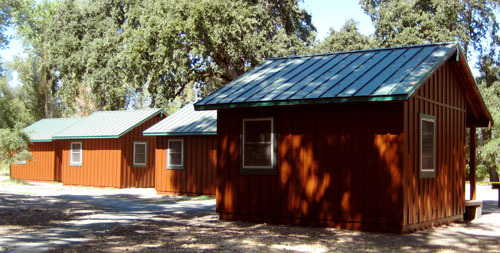 The park has a small community of 8 camping cabins managed and rented through the Park concessionaire and can be reserved through the Park cabins reservation service. Each cabin is equipped with a heating and air conditioning unit, fire pit, barbecue and picnic table. Cement walkways connect the cabins. Two cabins are ADA approved. Inside, the all wood cabins have built-ins including extra large bunk beds with a ladder to the top bunk, a large shelf and a table with two benches. Each cabin has many windows and ventilation. There are no water connections in the cabins. However, water sources and a bathroom/utility building are nearby. 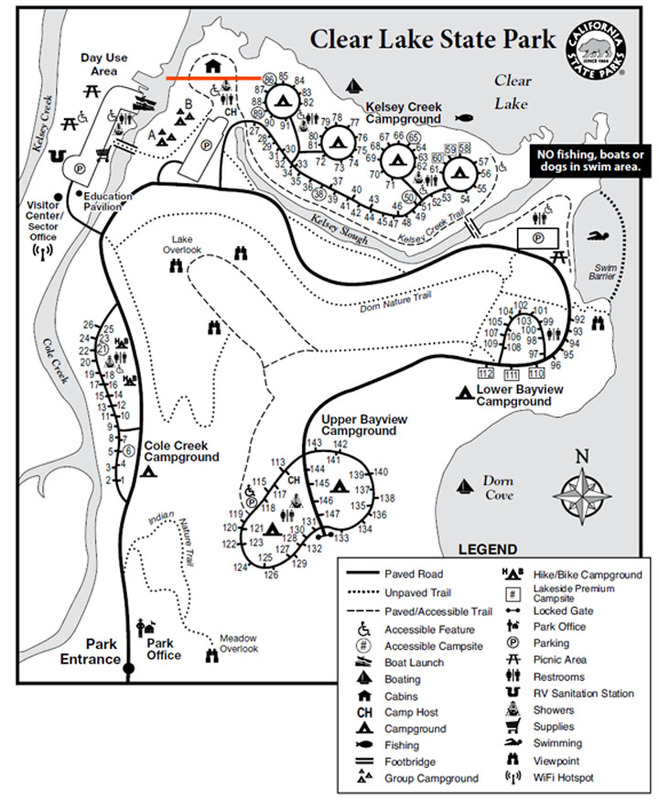 For a park map showing the location of the cabins, please click here.